Weddings have always been events steeped in tradition. While we borrow many of our current traditions from vintage norms, there are some wedding trends that have surprising origins. In the modern era, the tossing of the garter is a fun and flirtatious event that takes place at the wedding reception. In the past, however, newly married couples were required to show “proof” that they consummated their marriage. Family and friends of the groom would take the garter off of the bride to show everyone that the deed had indeed been done. Eventually, this led to the groom throwing the garter to these “witnesses, ” thus ending the more barbaric method of them removing it themselves. Veils today are a beautiful and stylish vintage wedding accessory. Historically, the wedding veil was mostly symbolic. The veil was a way to symbolize the purity and untouched nature of a virgin bride. Similarly, superstitious religions believed that a veil being worn over a bride’s face shielded her from evil spirits that could be hanging around on the wedding day. Nothing is more symbolic of a wedding than a beautiful white dress. Bridal gowns were not always white, however. In the past, women simply wore their nicest dress to get married in, and often these items weren’t white. When Queen Victoria wore a white dress at her wedding in 1840, everything changed. Suddenly, fashionable women wanted to mimic the look of the beautiful queen on her wedding day, which started the long-standing tradition of wearing a white dress. 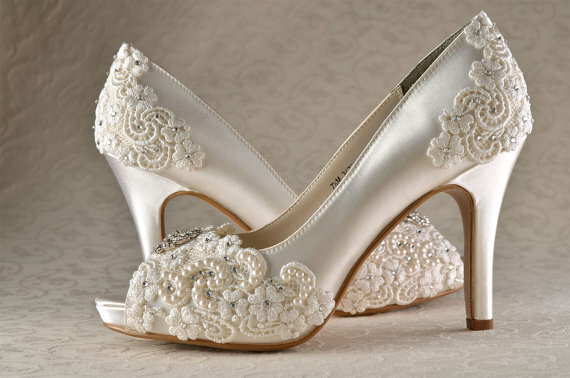 Wedding shoes are mostly seen as statement accessories in the modern day. In vintage weddings, however, the wedding shoe was a much more important item. Brides would wear coins in their shoes as they walked down the aisle, and the act was meant to bring prosperity and happiness to the newly married couple. It’s even been said at vintage weddings that the bride would throw her shoe at the end of the night instead of a bouquet. Up until the 1860s, bridesmaids were meant to wear dresses that looked similar to the dress that the bride wore to confuse evil spirits and make it difficult for them to identify the bride. In 1865, however, a wedding etiquette book informed the upper class that bridesmaids shouldn’t detract from the bride’s beauty and should act instead as a beautifully colored backdrop for pictures. Thus began the tradition of bridesmaids wearing a dress in a carefully chosen color picked by the bride. Why I Love Playing Cricket Online? So beautiful the vintage weddings looked! Absolutely love everything you mentioned here. Best part is the hell. Damn pretty! Wow.. Looking awesome. I like vintage wedding facts. It’s beautiful. Never know such traditions existed; all are unique bordering to queer though. No wonder they are not heard anymore:) Thanks for sharing this post. Such a lovely post, some of these things are so well known and yet we do not know the reason behind the tradition. Thanks for sharing. There are so many little things we follow during wedding but never know the origin of the tradition. This is a remarkable post on little things that matter during a wedding. Wow!! I had no ideas about these traditions and the story behind them. Lovely read. I was always curious to know about the garter ritual whenever I saw it in a movie. But never looked up to read about it. Glad to have stumbled upon this post and know about that and other traditions! The vintage wedding traditions are fascinating. However some of them do seem archaic in the light of contemporary times, it is good that some of these have evolved over time. A very unique post about Vintage Wedding.Loved reading it. This is seriously such an infòrmative and interesting post. Some of the traditions now look weird but they might have been super important to the community. We do have some superstitious traditions in our Hindu wedding too and we follow them without question. Good to know about their traditions. Seriously I loved the idea of a vintage wedding, it gives a feeling like prince & princess getting marriage. 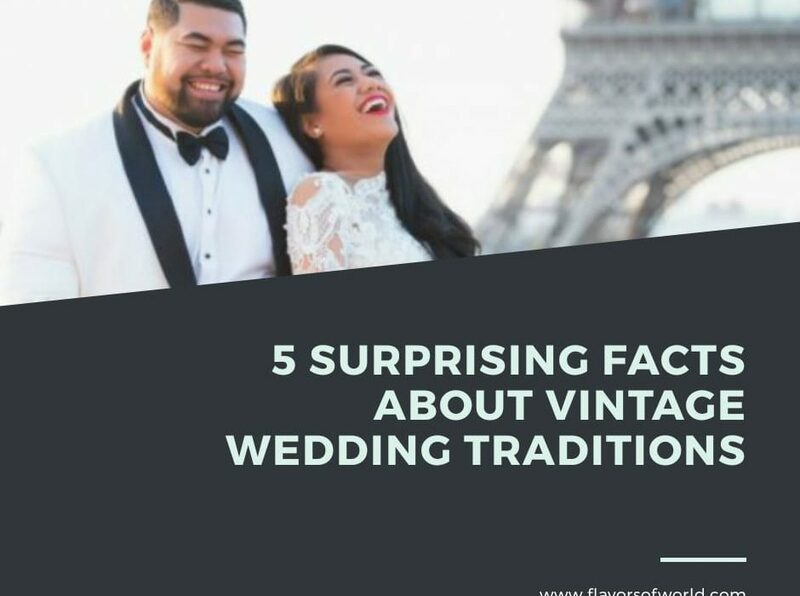 Wow the facts about vintage weddings really amazing. It was my childhood dream to dress up in such a becautiful traditional gown & get married in christian style. I love the white gown, the heels, the veil and basically everything about the vintage wedding…..
Everything about vintage wedding traditions is lovely. I love be the veil and the dress. Great post and loved reading about the vintage wedding. Perfectly put across post. Shoes and bridal dress are quite important and I’m amazed at the veil designs. They have been a part of bridal collection from centuries. Such a gripping and informative blog.. I love white weddings and the facts just made me love more ? This is so interesting! I had no idea that these traditions go back such a long way and have such interesting reasons/ stories behind them! Fun read- thanks for sharing 🙂 I enjoyed it.